If you’re seriously concerned about the future welfare of your family, you’ll want to have life insurance as it is something that can protect your dependents if you were to die suddenly or develop a terminal illness. This life insurance can protect your family from financial ruin and it will help your loved ones hold on to the house they’re in, continue to pay school- or university fees or continue to pay your medical aid premiums. Not only that, life insurance can also cover expenses for your funeral, leaving your family with one less expense to contend with. Here we will have a look at Myriad Life Insurance. 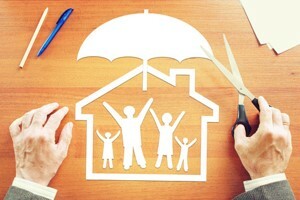 The amount of life cover you need will vary from family to family. But it can also vary according to the where in life you are. A young person with no intention of marrying or having children won’t really need life insurance. But a young couple with three children will certainly need more life insurance. You can always in some time to speak with a Momentum agent who will show you what options are available. Momentum was established in 1966 already and to this day they offer excellent financial services and products for their clients. when you use their Multiply rewards programme, you get up to 60% premium discount. Myriad Life Insurance is Momentum’s wonderful life insurance which is tailored to customer’s needs. Momentum puts different benefits together and customers can choose the ones that suit them. Momentum makes sure that you pay according to the risk you pose, and not for the risks that other people pose. So Momentum looks at your personal risk and offers a ‘living product’. This means that your benefits evolve to suit your changing needs. The Death Benefit is a wonderful way to replace your income when you are no longer there. The Death Benefit for cash in the estate provides for capital gains tax, estate duty and executor’s fees. at age 80, if you never claimed under their disability or critical illness benefit, they pay out an amount that will provide additional income for many more years. Momentum’s Myriad Life Insurance simply makes South Africans see life insurance differently. And now you can also get the best life insurance cover from Momentum by speaking to one of their expert financial advisers at 0860 665 432. Add your details to the form on this page and click on the “Get Quote” button to get a Life Insurance quote.